Inz EC Launch . Are ECs better long-term investments than private condos? The Business Times, 25 February 2016 edition reported that prices of ECs (Executive Condominiums) catch up with those of private condos after the initial 5-year minimum occupation period (MOP). And incidentally, even more so a further 5 years after that, 10 years after completion. Historically, developer launch prices for ECs (such as at the Inz EC launch) is usually about 20% lower than for similarly located private condominiums. This is attributable to the sales restrictions imposed on ECs, and their attendant lower land costs. But upon fulfilment of the 5-year MOP, and upon reaching the 10 year full privatisation stage, the gap narrows to 9% and 5% respectively. At completion of the MOP, ECs can be sold to Singapore permanent residents or citizens, but not to foreigners. But once 10 years is over, they are designated as privatised and the restrictions are lifted, so they can be sold to foreigners too. The Inz EC Launch · A Sure Profit? This does not mean that every EC is guaranteed a profit. Statistics show that it depends largely on the price of initial purchase and the time frame. The study matched the data for 21 EC projects that had already been privatised, with their profits at the 5th and 10th years. They found that 13 projects made a loss at the 5th year. This was mainly because they were purchased during the boom time before the Asian financial crisis. The other 8 ECs managed profits of over 20 per cent. But upon privatisation (ie. at the 10th year), all the ECs were profitable. How much gains owners could get depended on the location, and supply of surrounding condominiums at the point of sale. So based on historical sales data, 1st owners of privatised ECs could be sitting on quite significant gains. In addition, the study highlighted a trend that The Business Times had reported on as well, in an earlier article in January 2016. That report suggested that increasing vacancy rates of ECs were a sign of buyers treating their ECs as an investment. Young couples could be continuing to stay with their parents after marriage, while waiting for the value of their ECs to appreciate before selling. The study also highlighted another finding that is perhaps not so surprising. Comparing ECs with private condos, if each is held for 10 years, ECs could be the better long-term investment. This is due to their higher internal rate of return as a result of their lower purchase prices. Also after the 5 year MOP, ECs can be rented out. Their rentals are generally on par with similar private condos, thus giving a higher yield. This helps to defray their costs quite significantly. The hypothetical study assumed a private condo of 1,100 sq ft bought for S$1.09 million, with a comparable EC costing S$875,000. Its buyer is assumed to have a household income of S$14,000, and a loan of 80 per cent over 25 years at fixed interest of 2.5% pa. Rents for both are assumed as S$3,000 monthly. To simplify the study, other costs such as stamp duties, taxes and maintenance fees were not considered. At the 5th year, the private condo appeared the better buy, as the EC could not offset its mortgage payments with rental income, as it is barred from renting out the whole unit. This dampened its capital appreciation. But once the rental restrictions were lifted, from the 6th year onwards, the EC quickly outperformed the private condo. Can it be concluded that this partially state-subsidised housing form for the “sandwiched class” buyer is no longer relevant? An author of the study said no. 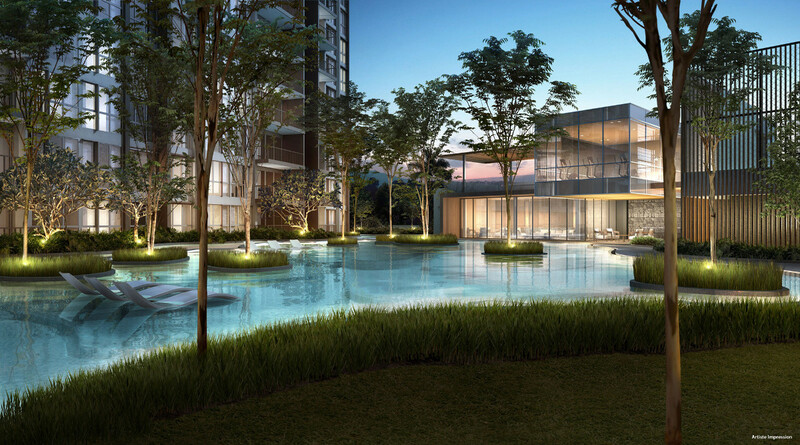 “…given the significant price gap between ECs and private condos, ECs provide an affordable option to HDB upgraders or 1st timers who aspire to achieve a higher standard of living. Though some may be buying ECs for investment, the majority are buying them for their own occupation.“, she explained. Adapted from: The Business Times, 25 February 2016 (See report – opens in new window). If you would like to be kept posted on all the Inz Residence launch updates or to register for a showflat viewing, please email us here.